The Dragon Ball universe continues to expand and while Dragon Ball Xenoverse 2 introduced a new avenue for the franchise to explore the anime, now known as Dragon Ball Super, continues to build upon the original story and delivers a universe much larger than anyone expected. 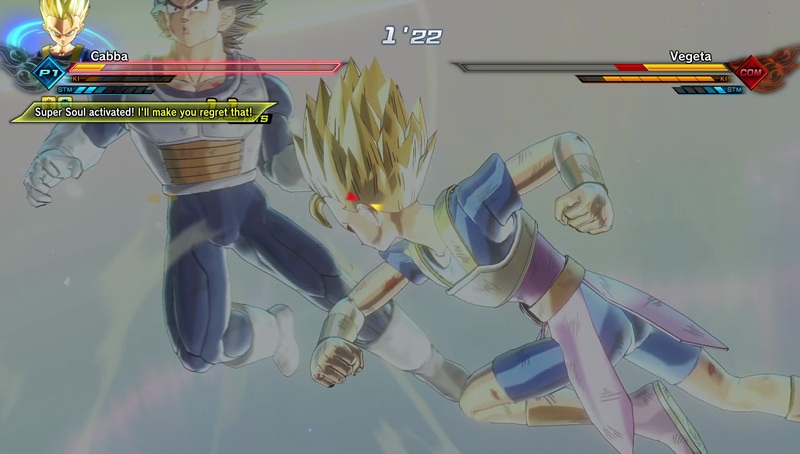 Now… this is where the first Downloadable Pack for Dragon Ball Xenoverse 2 comes into play; as it begins to introduce the characters featured within the new anime series to players of the game. 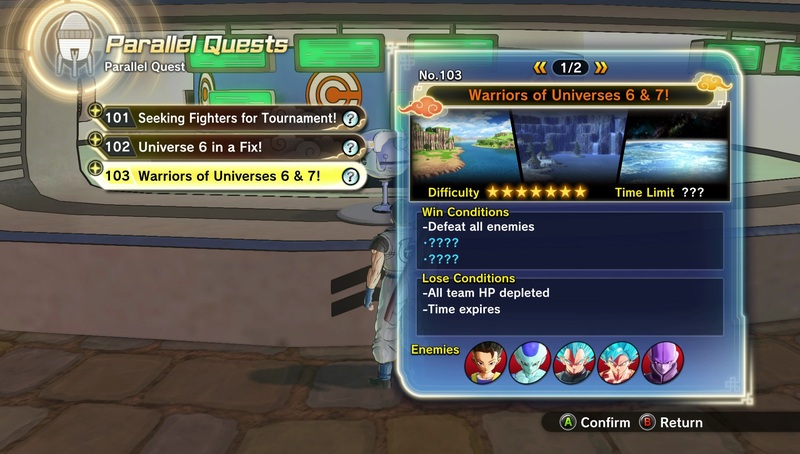 Entitled the Dragon Ball Super Pack 1, or correctly titled Dragon Ball Xenoverse 2: Dragon Ball Super DLC Pack 1, this amusingly titled piece of Downloadable Content adds two brand new playable characters, a new master, three missions and other sorts of additions – such as outfits and Z Souls. It’s a DLC pack we have mentioned twice previously on this site; but today we will be taking a closer look to see what it actually offers and – when you get round down to it – not much. From my perspective the bulk of the content comes in the form of Frost and Cabba; two characters from the Universe 6 Arc of the Dragon Ball Super timeline with each offering their respective skill-sets and move lists. Cabba for instance can go Super Saiyan, of which Vegeta taught him in the anime, and use the iconic Galick Gun attack; Frost meanwhile may look like a clone of Frieza but he too comes with the abilities discovered within the anime – such as his ability to poison enemies. Both characters are equally balanced and give a fresh outlook on the aging cast of characters included within the game. These two characters are my highlights of the pack and can be accessed as soon as the DLC has been purchased. 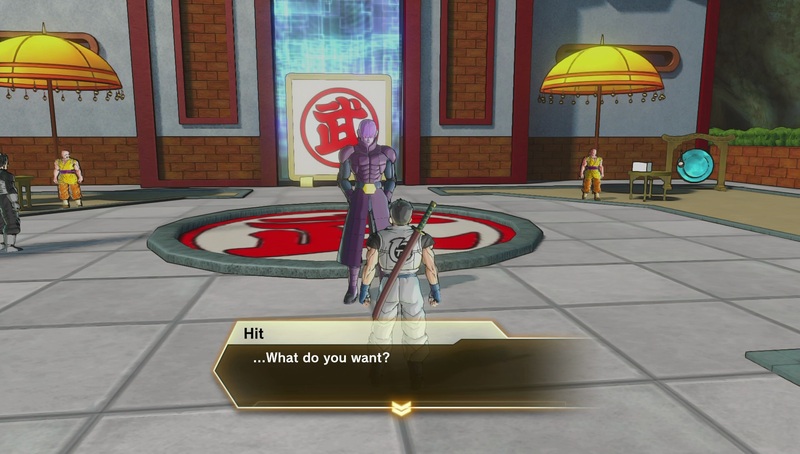 Of course while the Dragon Ball Super DLC Pack 1 does feature three new missions, and a new master in the form of Hit; they are overly difficult to take part in. 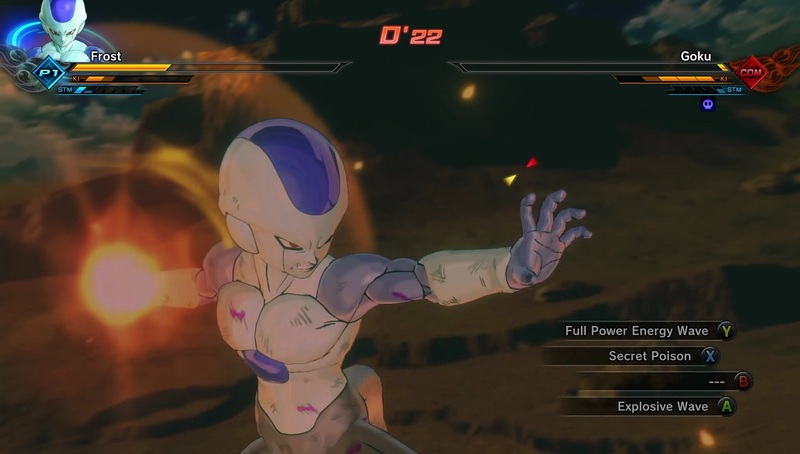 For instance being able to train under Hit and use learn his abilities requires a high-level-character otherwise he will tell you to go away and it’s a similar story with the three new missions. Sure enough the missions offer new challenges; but they all require a high-level-character in order to stand a chance of being beaten. These difficulty spike means that newcomers purchasing the game, or those struggling to muddle through the evely-extending-difficult-campaign, will miss out on the content they have paid for. It’s a similar story with the moves and outfits; as while they are present in the game they don’t become easily available. Accessiblity is crucial and unfortunately the DLC found within Dragon Ball Xenoverse 2 isn’t entirely accessible. Sure enough if you’ve played the game and created a strong warrior then everything will be usable; but for newcomers – or those returning to the game after stopping – will find that only the characters can be enjoyed. It’s a disappointing feature; but fortunately the included characters are great to control and interact with – especially Frost and his poison ability. Dragon Ball Xenoverse 2 and Dragon Ball Super DLC Pack 1 are now available for the PS4, Xbox One and PC.